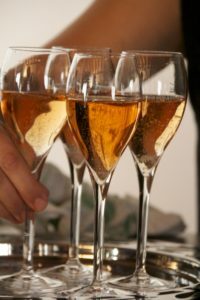 Beat the January Blues – Special Offer Champagne Tour! In the morning, take the Eurotunnel from Folkestone to Calais in one car, followed by a 2 1/2 hour drive to the magnificent city of Reims. Upon arrival in Reims, check into a double or twin Tradition room at the 4* Hotel de la Paix, ideally located in the heart of the city centre. After breakfast, walk across the city centre for a visit to a the prestigious GH Mumm in Reims for a tour of their cellars and a flute of their Champagne. There will be free time for lunch. 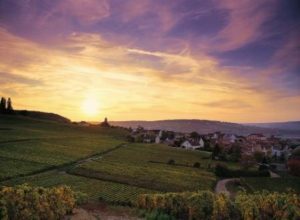 In the afternoon, walk to a lesser-known Champagne House in the city of Reims for a tour of their cellars and museum followed by tastings of three Champagnes. accompanied by a different glass of Champagne. After a leisurely breakfast, check out of the hotel, and at your own pace commence your return journey to the UK, via Calais, on the Eurotunnel. The total price of this package, based on 2 people sharing a double or twin Tradition room at the 4* Hotel de la Paix is £287 (GBP) per person and includes return Eurotunnel crossings for 1 car, 3 nights’ bed and breakfast accommodation, tours and tastings at 2 Champagne Houses, and a 3 course Champagne tasting dinner. Valid on travel before the end of February 2017.